It used to be that buying a Corvette (or another similarly expensive sports car) was the most efficient way for a man to signal to the world that he was wealthy and successful and/or a douchebag with no personality and a micropenis. But a new status symbol has emerged in male car country, one fueled by the emergence of men’s DIY culture online and the corresponding rise in hipster fetishism for an unremembered past. 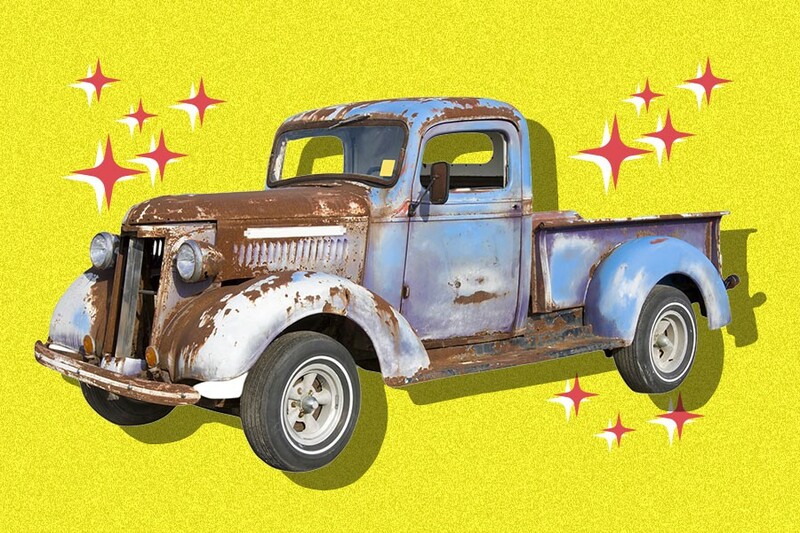 The biggest trend in modern car culture isn’t buying a Ferrari, Lamborghini or Porsche — it’s buying a vintage American-made truck (e.g., a 1955 Ford F100 or 1957 Chevrolet Bel Air) online and fixing it up to a glossy new sheen — and then sharing imagery of that process on social media. Millennial men are often derided for their complete ineptitude when it comes to any traditional masculine handiwork. (Author’s note: Guilty.) But while the average modern man might not be able to so much as a hang a picture on the wall or light his pilot light without having to make a pitiful, groveling phone call to his landlord, there’s a strong subset of millennial men who exist at the opposite extreme. They take it upon themselves to fix their cars and houses themselves (and then post about it online). “My beautiful classic Ford 100!” reads an ebullient post on r/trucks, a popular Reddit community for truck enthusiasts. In another, a Reddit user shares the before and after photos of the 1971 Chevrolet C-10 he fixed up two years ago. Other times, it’s men sharing photos of vintage Chevy trucks they encounter in the wild. Or a man rehabbing a 1960 Chevrolet Apache truck and documenting the transformation in meticulous detail for his fellow truck enthusiasts. But the abundance of online DIY communities — as well as step-by-step video tutorials on YouTube — have made it easier than ever for hobbyists to not only maintain their vehicles, but fix up antiquated models that would otherwise require a wealth of antiquated knowledge. And then, of course, share photos of that restoration process on Reddit. It’s not necessarily classic trucks, either. It’s trucks from the 1970s, or customizing newer trucks with elaborate sleeping chambers or turning them into full-out camping vans. It’s pretty obvious why truck rehab projects are so trendy: In an economy where men are remanded to only using their minds, not their hands, fixing up old cars is an effective way to reclaim some of that lost masculinity. And definitely more respectable than a Corvette.